The Third Set Of Locks project will open a third lane of traffic for ships and will increase the Panama Canal’s capacity in 2016 to 600 milion tonnes transited from 340 million in 2015, while also increasing the number of journeys to over 16,000 from 13,000. This includes ships with bigger capacity, up to 12,000 containers. This month the Canal Authority took over management and operations for the third lane, after the consortium lead by Spain’s Sacyr completed its seven-year contract. On June 26th, the first paying ship, from China, will travel on the new lane and there are bookings registered right throughout the summer. The third lane, which has locks at three levels on both sides of the Canal, each one with eight regulation lock-gates and three water tubs, is much more efficient than the two older lanes which are currently fully operational. The new lane needs 60% less water than the other two, which is a critical point for the future. It means that it is quicker and cheaper to operate, as well as being able to take larger ships. This is one of the most important civil engineering works of the century, which has faced and then solved many technical difficulties. These range from managing over 10,000 workers in a limited space and under adverse weather conditions, to the incorporation of new materials not just in the cement used, with critical resistance and sealing requirements, but also in the sliding floodgates, the systems for the utilisation of the water and the effectiveness of the operation. Although the contract for the project was awarded seven years ago, with a budget equivalent to 3 billion euros, the final cost has been 5 billion, with excess costs which are now the object of negotiation and arbitration in conformity with the contract. 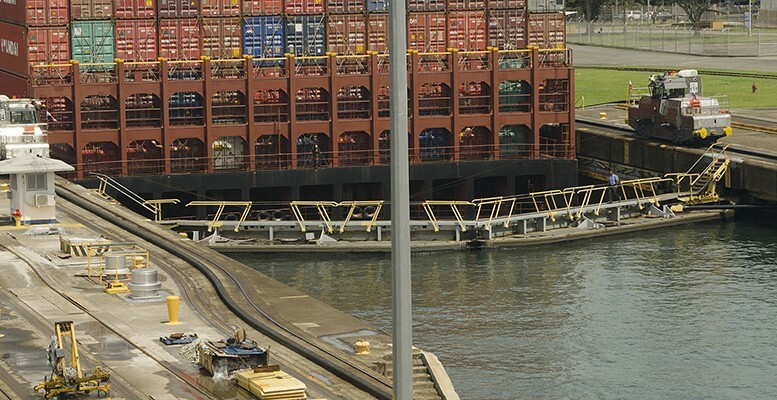 The Panama Canal extension is very profitable for the Canal Authority, an autonomous and constitutional public organisation which is very well funded thanks to the exploitation of its assets. The cost of the third lane, even under the most expensive hypothesis, is a figure below double the revenues generated, and is less than four times last year’s EBITDA. Exceptional amounts for an investment which will last for years; indeed the old canal has been functioning for a century with hardly any problems and is fully operational every day (and night) of the year.